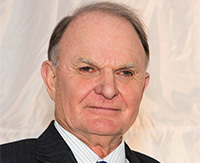 Emeritus Professor Ken Donald AO has had a lengthy and illustrious career of more than 40 years in medical practice, health policy and medical education. His academic contributions, consisting of more than 90 published journal articles and textbooks, demonstrate his ongoing commitment to the development of research and education across a number of fields including pathology, social and preventive medicine, and veterans’ health. Ken’s work with AIDS control and veterans’ health will long stand as his greatest achievements. 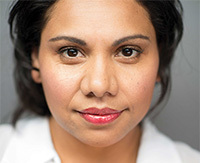 Deborah Mailman is one of Australia’s most celebrated actors. A proud Bidjara woman, Deborah grew up in Mount Isa and her outstanding performances in film, television and theatre have been acknowledged by numerous awards across stage and screen. Deborah is a role model to many young Indigenous people, dedicating her time to Indigenous literacy awareness projects. Deborah also helped establish the Aboriginal and Torres Strait Islander Program of Contact Youth Theatre and the Kooemba Jdarra Indigenous Performing Arts programs, which develop and produce contemporary performances on the stories of Indigenous Australians both locally and internationally. Daphne Pirie AO MBE is an inspirational sportswoman and administrator who has worked tirelessly for more than 60 years to promote and further the cause of women in sport. Considered one of Australia’s most successful female athletes, Daphne’s sporting career spanned some 40 years, when she achieved success in track and field, hockey and golf. 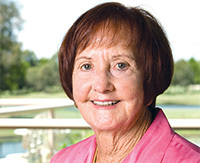 Daphne has devoted her life to promoting women in sport and, as the founding President of Womensport Queensland, had the clear vision of encouraging female athletes and communicating their outstanding achievements. 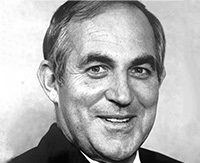 The late Sir Sydney Schubert was one of Queensland’s most distinguished public servants who was instrumental in shaping Queensland’s strong economic development during the 1970s and 1980s. Sydney’s contributions are widely acknowledged for transforming the Queensland economy. His passion for Queensland was also displayed through his contribution to higher education, business, the arts and the environment. Sydney was awarded a knighthood in 1985 for his outstanding contribution to the Queensland public service and received an Honorary Doctorate in 2006 from James Cook University for the management of northern Queensland’s environmental assets. 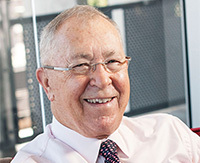 Terry White AO is a businessman who successfully developed Queensland-based company, Terry White Chemists. The national franchise and brand has more than 160 pharmacies across the country, with many in Queensland where the head office has always been located. As a former president of the Pharmacy Guild, Terry was heavily involved in developing services to upskill pharmacists as small business people. He has also chaired several companies such as the Terry White Chemists Group and Metro South Hospital Board. Queensland Meals on Wheels provides an invaluable service to the Queensland community. With more than 15,000 volunteers providing meals to thousands of clients daily, it is represented by the largest volunteer workforce of any voluntary organisation in the state. This service provides an important social and community link to clients who live in isolation and are unable to prepare meals for themselves. The organisation also helps reduce the need for premature admission to hostels or nursing homes, and provides more than two million meals each year. Aboriginal peoples and Torres Strait Islander peoples are warned photographs/videos on this website may contain images of deceased persons which may cause sadness or distress.